Lessons in the AM, free in the PM! Opt to explore Machu Picchu! Learn Spanish in the cultural city of Cusco in Peru. Enjoy 20 hours of Spanish lessons per week, plus amazing extra cultural classes in everything from cookery to salsa, singing and Latin American film. Living with local Peruvian families in a cultural homestay experience, you’ll get to practice your Spanish skills in this stunning city location. You’re only a stone’s throw from the magical ruined city of Machu Picchu, one of the incredible wonders of the world. 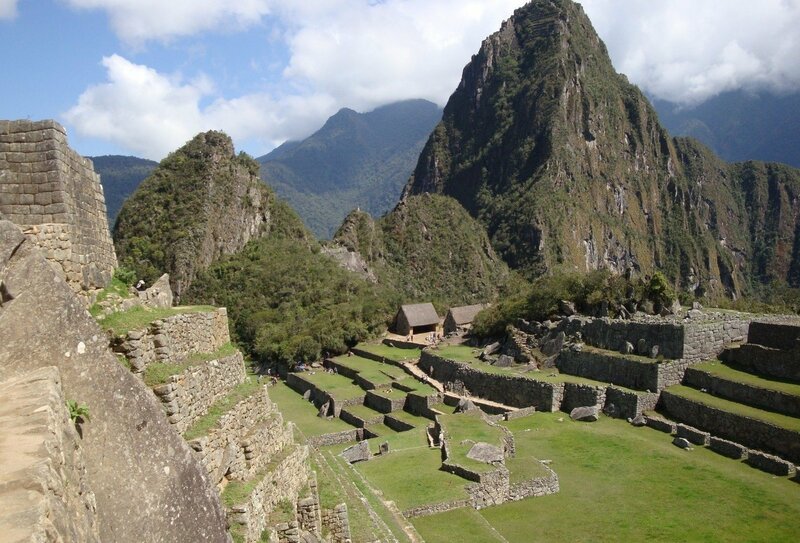 A gap trip to Spanish school in Peru is an unbeatable language immersion you’ll never forget! Stay with a local Peruvian family and learn how to speak, live, breathe and love Peru like a native! 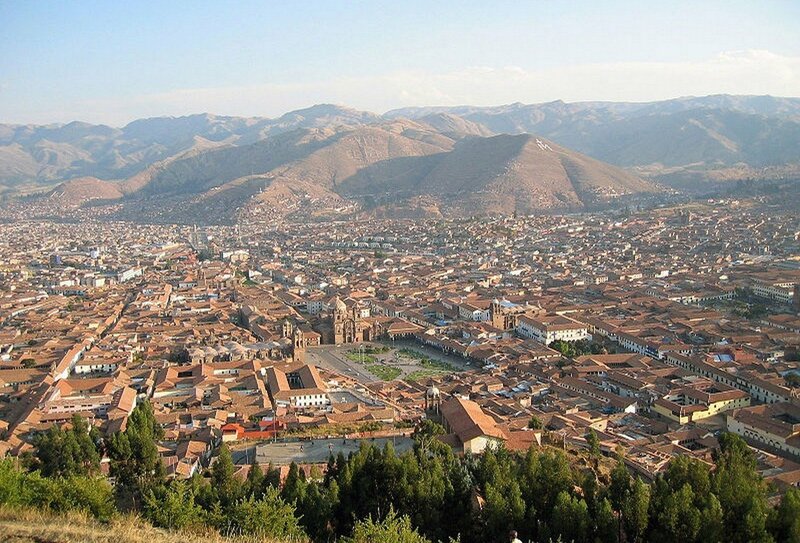 A view of the Peruvian city of Cusco, an incredible place to visit on your gap year. 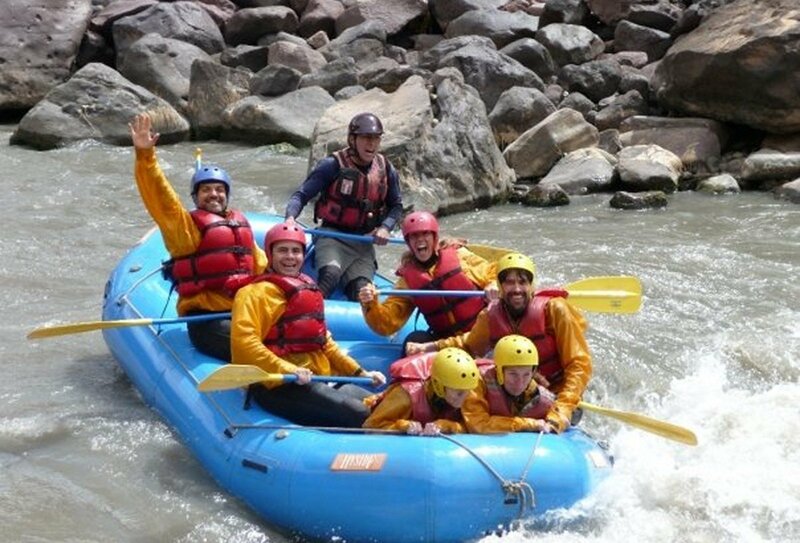 Some travellers go white water rafting on their gap year trip to Peru! A group of travellers pose together to remember their gap trip to Peru. A group of young women learn Spanish at a school in Peru. Some gap travellers have fun learning Spanish in Peru. 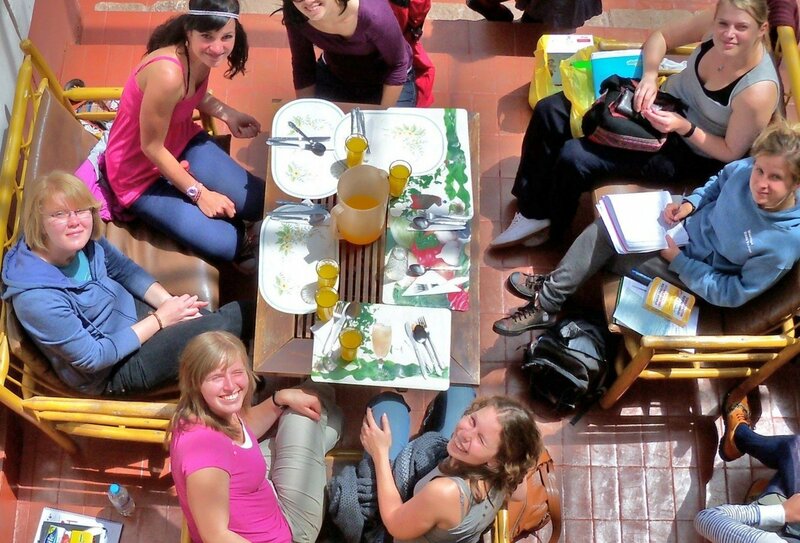 A group of students learn Spanish in Peru, a great new skill to learn on your gap year. 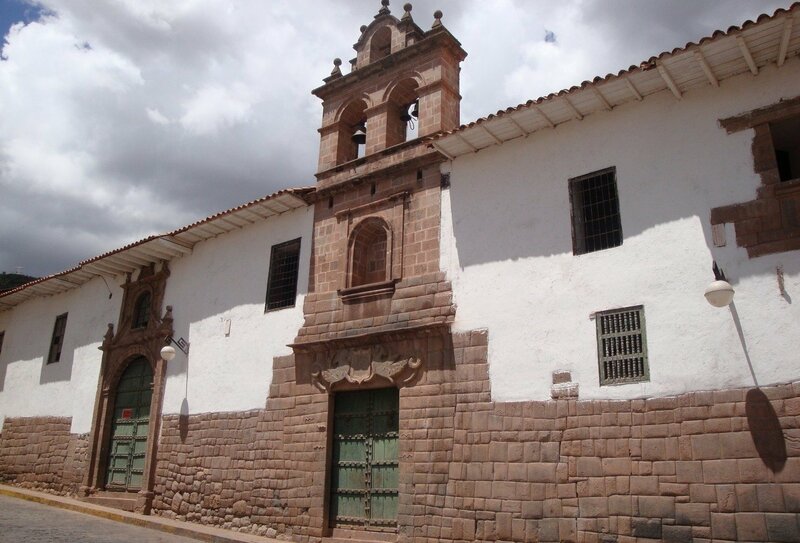 A school in Cusco, Peru, a great place to learn Spanish on your gap year. Cusco is a beautiful city in Peru full of incredible architecture. Four friends visit a bar in Cusco, a wonderful Peruvian city with great nightlife. 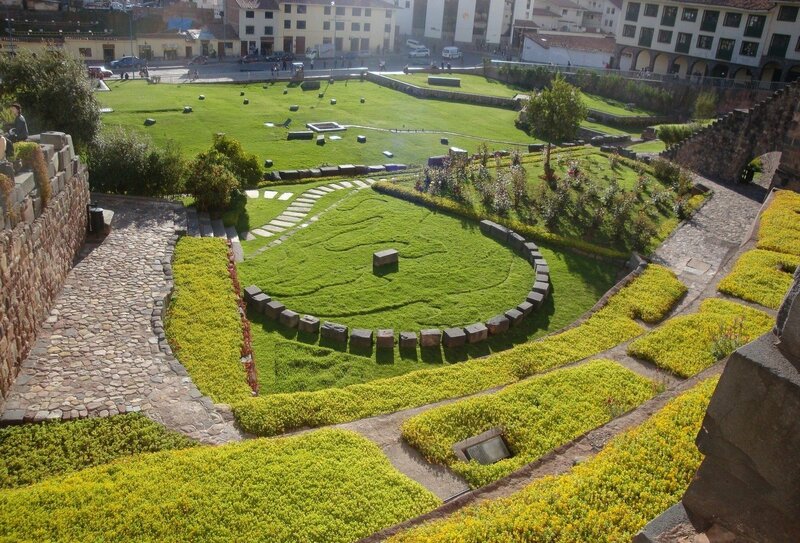 A park in Cusco, a beautiful city in the heart of Peru. The Learn Spanish in Peru programme begins on a Monday. You’ll be involved in Spanish language lessons from Monday-Friday, with a total of 20 hours of lessons per week. You will have around 4 hours of lessons per day. On official holidays an alternative activity will be offered instead. This could be anything from a walk around the town to a lecture on the history and culture of Peru. 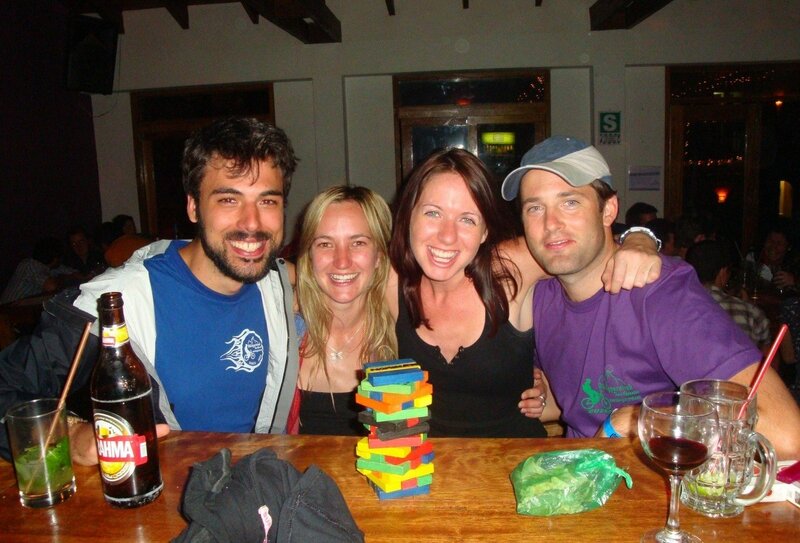 Time to settle in to your homestay, meet your host family and get the feel of Cusco before your Spanish lessons begin. 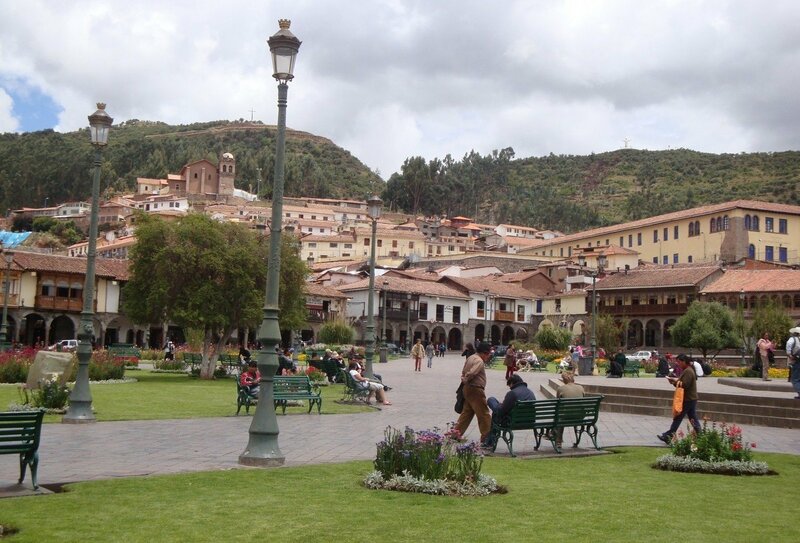 At 4pm you will meet in the centre of the city for a guided orientation walk in Cusco. On your first day you’ll meet at the Cusco Spanish School at 8am, where you will have a briefing and be asked to take a written aptitude test consisting of multiple choice questions, along with a short oral test. Don’t worry too much about the outcome, as this test is only to ensure you are placed in the correct ability level class for your skills! On the first Monday you will enjoy a group welcome dinner at 7.30pm. After your first Monday, all other Mondays will be set aside for 4 hours of daily Spanish lessons in small groups of no more than six students. Continue with 4 hours a day of Spanish language lessons in either beginner, intermediate, advanced or superior classes. You will study Spanish grammar theory and practice, do exercises to extend your vocabulary and improve pronunciation, and work on developing your listening, writing and reading comprehension using newspapers, songs and local literature of Peru. Also on offer in the evenings are a range of cultural activities and classes, such as salsa, cookery and film classes! Your weekends are yours to explore Cusco, try adventure activities or arrange independent visits to amazing sights in Peru such as Machu Picchu, Lake Titicaca or the Amazon rainforest. The Spanish school will be happy to advise and help you arrange extra activities through their in-house travel agency. You should plan to arrive in Cusco on a Sunday so you’re ready to begin your Spanish lessons on Monday morning. On arrival at Cusco International Airport (CUZ) you will be greeted by one of our representatives, then be transferred to your chosen accommodation and be given a brief introduction to the language school and the city. 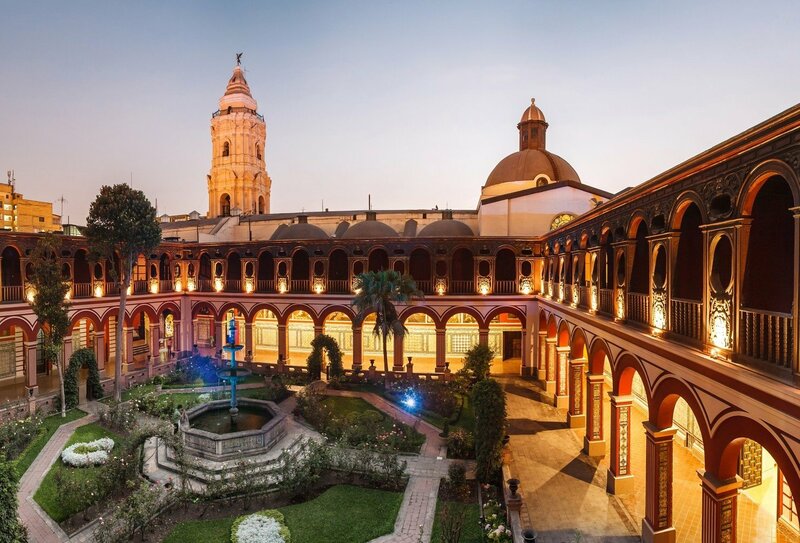 To get to Cusco, you’ll first need to book international flights into Lima (Jorge Chávez International Airport (LIM)), and then take a domestic connecting flight. You can either book your own domestic flight from Lima to Cusco, or we can help you to arrange it if you book our optional Lima Arrival Pack. The arrival pack is available for an extra cost and includes a meet and greet at Lima airport, one night’s accommodation in Lima, breakfast, and a domestic flight from Lima to Cusco. Because of the strict arrival dates, you may need to stay over night in Lima before you can take your connecting flight to Cusco on Sunday, in time for the start of Spanish school on the Monday, so you may need to arrange accommodation and airport transfers. If you need help booking a hotel and airport transfers in Lima for a short stay, please let us know and we can make arrangements for you. Alternatively, if you book our Lima Arrival Pack, this ensures you will be met at Lima Airport by our representative, then taken to a hotel where you will spend one night. After breakfast you will be transferred back to the airport in time to catch your connecting flight to Cusco. (Please bear in mind that you must arrive at the airport two hours prior to your flight to pick up your E-ticket from the appropriate airline). Please ask one of our travel advisors if you wish to add in the Lima Arrival Pack. Additional nights in Lima can be arranged if you would prefer to do some sight-seeing before travelling on to Cusco. During your time learning Spanish in Peru you will be staying with a local Peruvian family on an authentic homestay experience. This is the ideal way to make the most of your Spanish skills and help you pick up the language that little bit quicker, as you experience a true taste of the culture and daily life of the Peruvian people. If you prefer not to stay in a homestay, for example if you are travelling alone, then we can arrange alternative accommodation in a dorm at a local student residence. Welcomed with open arms, you’ll be kept safe, enjoy clean accommodation in your own private room (includes a lock on the door), and will share the lounge, kitchen, bathroom and if available, courtyard or garden with the family and any other students the family has chosen to take in. All families have a television, radio and telephone (for the use of incoming calls). During your stay you’ll be free to come and go as you wish, but as a simple courtesy, you should let your host family know where and when you’ll be out, so they won’t worry unnecessarily. With two meals a day provided by your host family, you’ll be served breakfast between 06:30 and 09.30, with a full three course lunch/main meal between 13:00 and 15.30. These times are flexible however, and you can always make other arrangements if you wish, (and let them know!) Your hosts will also be happy to cater for any special dietary requirements. Though your accommodation may be a little more basic than a hostel or hotel stay, it will still be safe, secure and comfortable and the perfect place to experience real Peruvian life and language in a loving and hospitable environment. All families are chosen carefully and monitored through regular inspections and student feedback and are middle class. Many of the homestays are situated in Santa Monica, the same exclusive residential area as the Spanish School. Taxis into the centre of Cusco from this neighbourhood cost around USD1.20 and mini-vans cost around USD0.20. Please note that Cusco suffers from a water shortage, and most families do not have a water tank. Hot water installations and standards of accommodation in general, may not meet western expectations, so you should be prepared for basic or lower standards than you would normally be used to. Laundry is not usually included, but there are several laundry services/laundrettes in Cusco which usually return clothes within 24 hours. We ask that you respect the family’s home and accept their way of living as a unique and wonderful cultural experience. During your stay you should bear in mind that some of our host families may only speak Spanish. As they are used to accommodating students who don't speak Spanish however, they are always very patient and have become incredibly imaginative, communicating using basic words and sign language. If there is a serious need, the staff at the school all speak English and can serve as translators where necessary. If you prefer, you can swap your accommodation to a student residence in Cusco centre instead of the family homestay. Please ask our travel advisors for more information about prices and availability. The minimum age to participate on this Peruvian placement is 18, and for tourism purposes British nationals will not require a visa. On arrival at the airport, you will be granted permission to remain in the country for up to 180 days. No previous Spanish language experience is necessary for this trip, as classes at the Spanish school cater for every level of language learning, from absolute beginners to more fluent Spanish speakers.